Right from the days when Chief Olusegun Obasanjo was president, many Nigerians have been saying it that GDP growth without decrease in poverty level is a fallacy. Well, finally, the former president has accepted that theory, five years after he left office. He said on Thursday at the 40th Annual General Meeting (AGM) of the Manufactrers Association of Nigeria (MAN) that the growth of Nigeria’s Gross Domestic Product (GDP) is not realistic, given the level of poverty in the country. “If in 2004, percentage of poor people in Nigeria was 54 per cent, in 2011 it was 38 per cent, now it is 69 per cent and yet we say the GDP growth is increasing. It means something is very wrong,” he said. “We are not yet there and in fact, we are far from getting there. 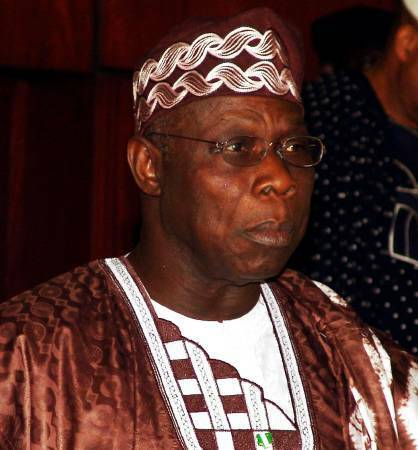 We are still an infant and an infant must be taken care of, pampered and nurtured before he can stand,” Obasanjo said. Obasanjo added that what happened in the cement sector can also happen in all other sectors if the government continues to support backward integration. On his part, President Goodluck Jonathan, who was represented by the Hon Minister of State for Trade and Investment, Dr Samuel Ortom, charged the manufacturers to be committed to the growth and development of the economy. However, his speech gave the impression that government was just working to put up an industrial policy. In his words, “We are working towards an actionable industrial policy and a robust industrial revolution action plan, tailored along sector specific lines, in order to provide special incentives to each subgroup in the manufacturing sector, with special emphasis in areas where we possess comparative and competitive advantage.